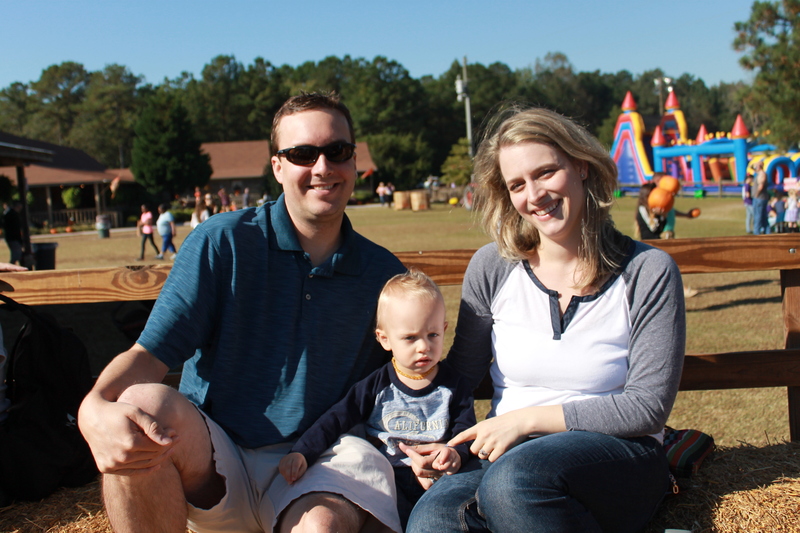 Our family made the obligatory fall pilgrimage to a pumpkin patch this weekend. 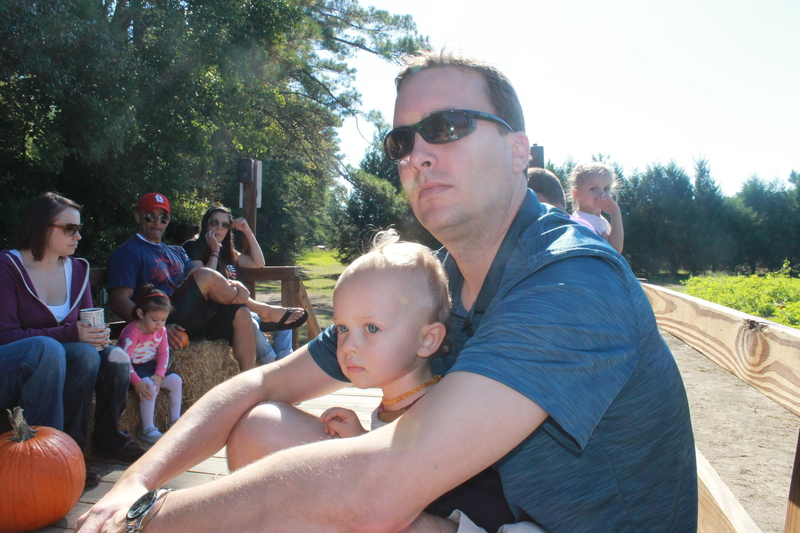 We made the hour and a half drive to Mike’s Farm and, while I was sort of dreading that trek with a toddler, the whole trip was amazing! 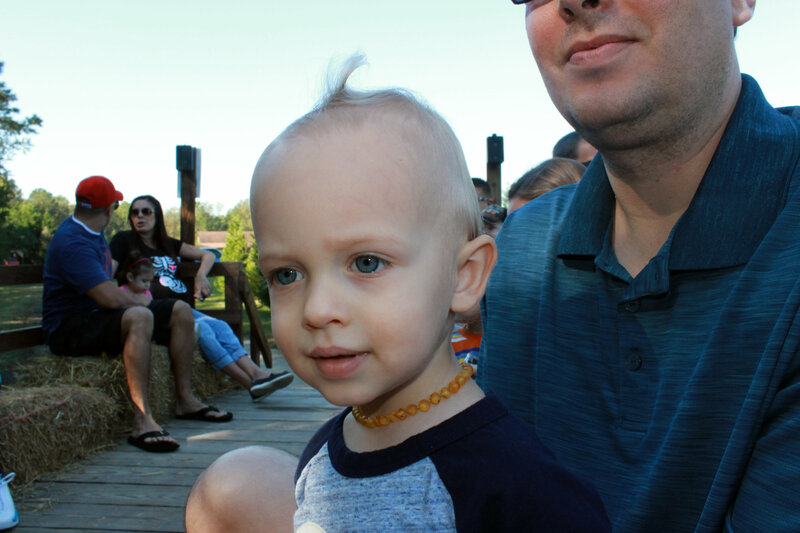 Lucas could not have enjoyed the hayride to the pumpkin patch more! 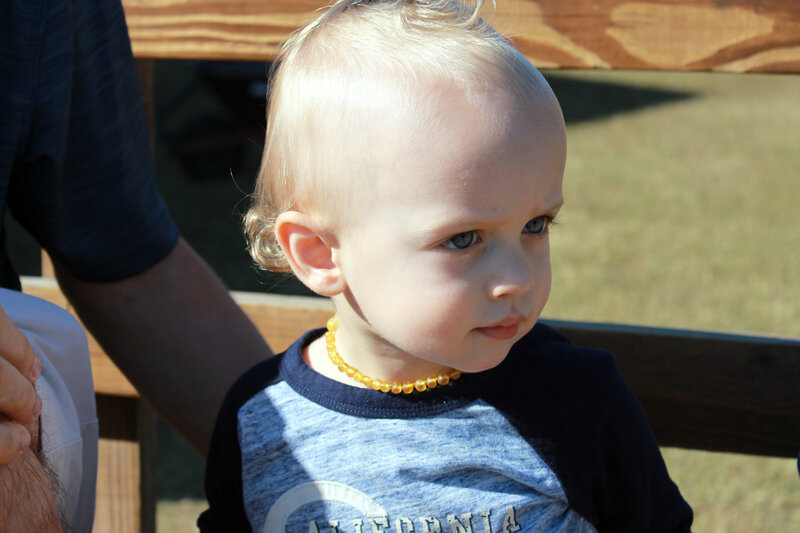 He was loving running around the field and didn’t like being “stuck” on the wagon while we were waiting for it to fill up but as soon as the tractor started he was so excited. He was almost transfixed as we drove through the woods. And the excitement he had when actually getting to the patch and being “cut lose” was one of the cutest things I’d ever seen! 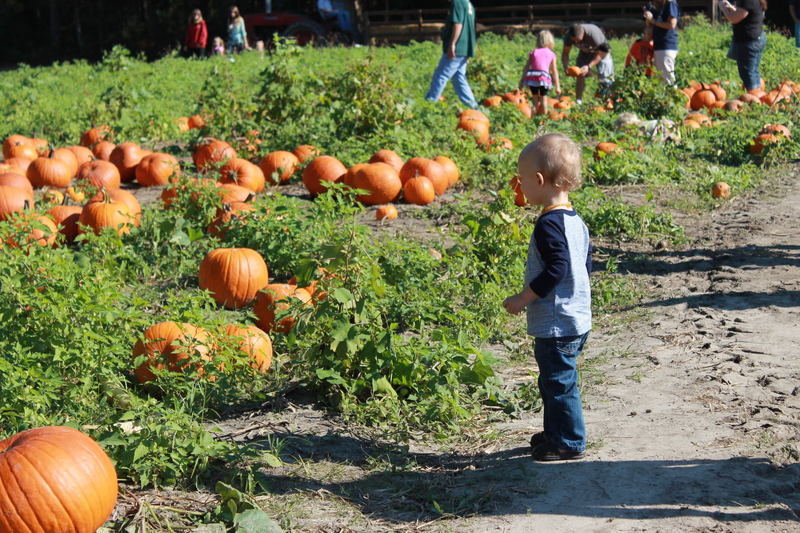 He loved exploring the pumpkin patch and looking at all the different pumpkins. 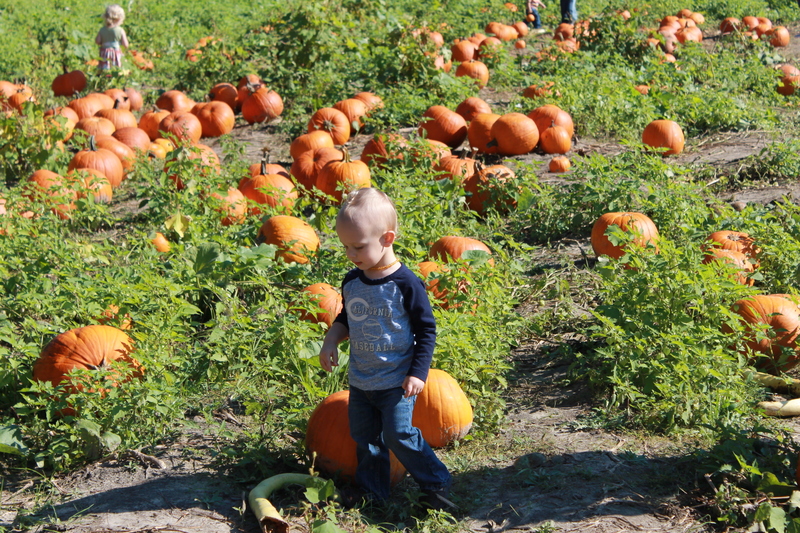 We let him pick out his own little pumpkin and we got a larger pumpkin to carve as a family. Poor Darrin had to juggle two pumpkins, a water bottle, my purse and L’s backpack as we made our way back to the tractor. 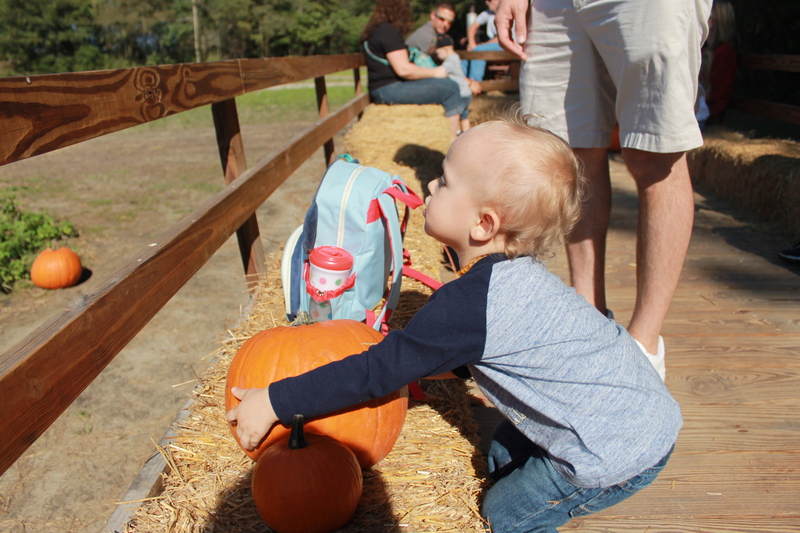 Lucas decided to help out – and watching him try and lift the big pumpkin was the highlight of the trip for me. 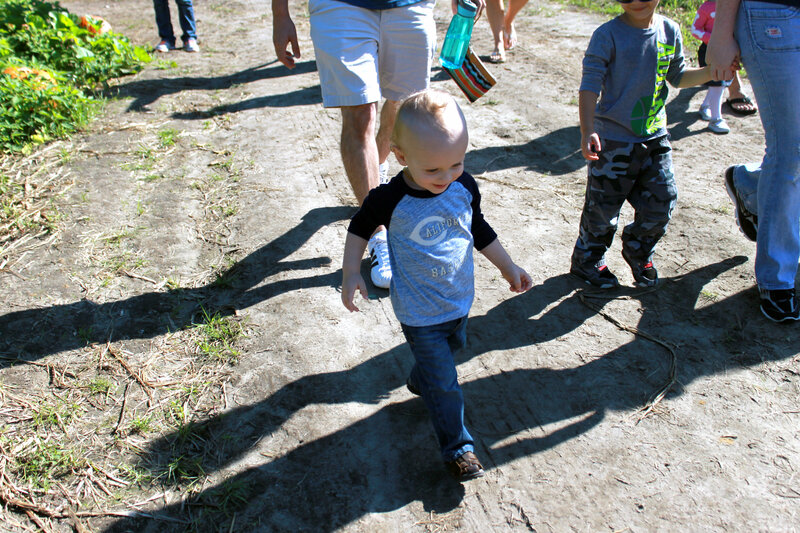 After we made our way back to the main farm, we let the little guy run around for a while before heading to grab some lunch and then making the trip back home. It truly was the perfect Saturday morning – I’m already looking forward to next fall when we head back! 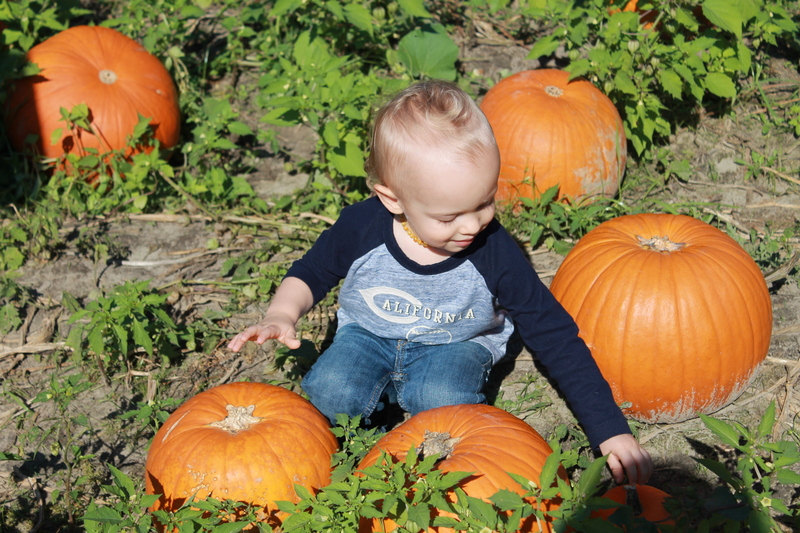 But now, some photos of the little man and his first trip to a Pumpkin Patch!